AR8440A_APC has not been replaced. Please contact your customer care center for more information. 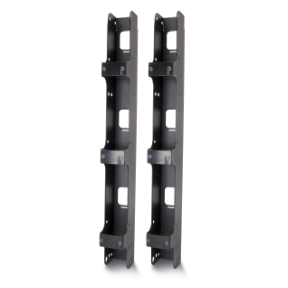 This vertical cable organizer can be mounted to either side of Schneider Electric’s 2 Post Rack and provides vertical cable management for the entire height. It is typically used with a single rack or at the end of a lineup. It ships with eight integrated hoops and eight pass through holes.